Last Friday afternoon, I sat in a room with a group of entrepreneurs who were all talking about issues in their business that were seeking advice from other entrepreneurs. One of the people in the group was talking about their company and discussed the expansion opportunities in their business and it was mentioned they looked at expanding into some “smaller” markets. Even though the markets were smaller, there was a college presence in these markets, which seemed to be their initial target market. Welcome to this series of semi-live blogs from the Triangle Entrepreneurship Week 2012 (#TEW2012) conference in Raleigh and Durham, NC. Any errors, omissions, or silly side comments are my own. I was able to attend three of the four pitch sessions throughout the week. Each of the sessions that I attended had multiple entrepreneurs provide a 5 minute pitch about their vetted entrepreneurial company and idea to multiple representatives of angel fund and venture capital firms. The companies varied in industry, scope, and amount of funding they were looking to receive Afterwards, the representatives of these firms were able to ask questions of the entrepreneurs for about 15 minutes. If time allowed, the general audience were able to ask questions, too. At the end, feedback thoughts on the pitches and company were provided by the investors. Questions were asked of the panel members. These are most of the questions and the answers provided. What are the failures of government in relation to startups. How does each organization help me grow my business? Recently, a startup, Deja me, and their 13 employees were kicked out of their workplace, a residential house, because of violations in relation to operating a business out of a home. 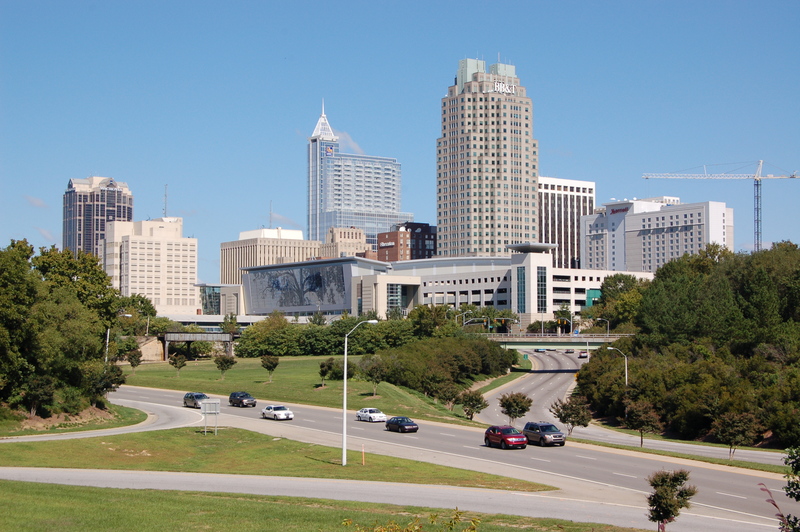 It became a huge social media nightmare for the City of Raleigh. How do we prevent that from happening again? It is not necessary laws that need to change, but how it is handled. Use a velvet hammer. Create different culture within city. Look at food truck law only now changes. Need to figure out how to keep up with innovative ideas. Understand older set of policies and get the community understand the “new” type of community. Try to follow the rules first. If still not working, then ask for forgiveness. Use resources that are available. It is your job to find out about them. Talent/immigration/entrepreneurship. We have a lot of well-educated, entrepreneurial types that cannot stay here because of Visa issues. Can NC be a visa free work zone for highly qualified individuals. Is it possible? How is the interaction with the state? This is an issues that comes up within state Department of Commerce to work with business to keep theses individuals here with more visas. Durham 20th largest use of work Visas and 2nd in intensity in the nation for work Visa use. Does this make it more of an opportunity? How do we help local education with entrepreneurship? Most at risk kids are best entrepreneurial…just need to provide a better focus. How can we help entrepreneurs? Young entrepreneurs need to get involved with new Startups. Change culture, but it is changing. Being intentional about changing the culture. Paying it forward. If you want to make an impact, you can here in the Triangle. There was a similar panel in last years TEW. I felt this was a far better panel because of the interaction between the panel and attendees. Also, Mary-Ann Baldwin brought up a great point that at last year’s panel, the city of Raleigh did not know what they had in regards to entrepreneurship. Now we are a year further into it and we have done some great things in relation to it. I could not agree more with her in this. As I mentioned last Monday, not reading a blog having to do with market research related on a Monday morning may seem odd. But this is the second week in a row where there is a major conference in the Raleigh-Durham area. During the week, I will be posting shorter blogs related to what I hear about the conferences. Again, my traditional postings will resume next week. For regular readers of this blog, not reading something market research related on a Monday morning may seem like you have entered into the Twilight Zone. Well, don’t fret. Because of major conferences in the Raleigh-Durham area over the next two weeks, the blogs will be shorter and related to what I hear about the conferences. My traditional postings will resume the week of November 19. Later this week, I will be teaching a class at Wake Tech Community College about finding job opportunities with start-ups and early stage companies. It is a class I have taught before with a lot of success and positive feedback. We discuss a variety of topics related to working with and understanding the general culture of start-ups, learning how to find them (as they are not necessarily well known) and profile ones that are hiring in the Triangle area. We also look at the fact that, although any company could go out of business any day, start-ups tend to do it more frequently because of the market, newness of the companies, and just the general failure rates of newer companies. We specifically look at EvoApp. Now EvoApp, based on everything, should have been a company that was to be a survivor. It had a great idea when the company had started. It also had investment from solid individual and group inventors. It also had high profile customers and solid mentor-ship. For the regular readers of this blog, you know that I am a huge proponent on start-ups and entrepreneurship. In the past, I have blogged about various events that promoted start-ups and entrepreneurship. This blog is not different. Last night was IdeaMensch, Raleigh edition. IdeaMensch is a community of people who inspire others to act on ideas and the Road Trip is a traveling idea generation platform that covers 48 states, with 50 events over 4 months.